In 1979, the gold medallist and famous student founded Narayana Academy in Nellore, Andhra Pradesh. The objective was to coach students to secure high rank and score in national college entrance exams. The center became well-known since 1985 and expanded across the country. 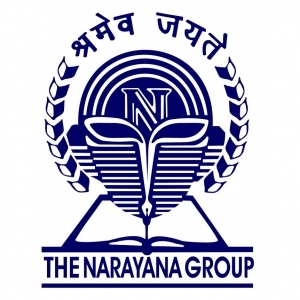 Narayana Academy, New Delhi, was opened to train students for IIT JEE. • Duration – 2 years for 150 hours. • Latest study material provided. • Topics repeated for clearing doubts or students who may have missed a lecture. • Results are evaluating students’ capabilities. • Progress reports sent directly to parents. • Counseling for weak students. Both macro-level and micro-level are awarded to the top and good students. However, only one of the said types is awarded per student. There are no ratings of Google on the website Narayana Academy, New Delhi. However, there are several opinions and feedback from students on Quora. These students have attended various centers of Narayana IIT Academy, New Delhi. There are several centers of Narayana IIT Academy across New Delhi. Hence, students interested in coaching for IIT-JEE can attend at any center of their choice. Check out Best IIT JEE Coaching in New Delhi. 47-B, Kalu Sarai, Sarvapriya Vihar, New Delhi - 110016 . "Narayana IIT Academy is the best place to learn IIT foundation courses in Delhi. The teaching staff is very good in providing a valuable knowledge to each and every individual student. " "Narayana IIT and Medical has excellent team of faculties who helped me to get into IIT Delhi. Purely Gurukul for learning. " "Nice coaching for medical and engineering(specially) also. Very good staff and outstanding teaching faculty having very wonderful ideas to solve any problem easy any kind of problem related to your studies or personal life.nice classes and good results. Students came here with hope and go with success. "